Pasadena, CA (Monday, January 10, 2011) – ABC Family has given new season orders to two of the network’s hit series, “The Secret Life of the American Teenager,” which has been renewed for a fourth season, and “Pretty Little Liars,” which was picked-up for a second season. The new season orders were announced today by ABC Family President Michael Riley at the network’s TCA panel at The Langham Hotel in Pasadena. ABC Family’s No. 1 original series of all time, “The Secret Life of the American Teenager” stood as 2010’s No. 1 scripted cable series in Women 18-34 and Females 12-34. The recent winter premiere of “Pretty Little Liars” posted series highs across the board, including in Total Viewers (4.2 million), and became ABC Family’s No. 2 telecast of all time in Women 18-34 and Females 12-34. ABC Family just wrapped up 2010 as its most-watched year ever, marking the network’s seventh consecutive year of growth. The third season of the network’s hit series “The Secret Life of the American Teenager” will return with all-new episodes beginning on Monday, March 28 (8:00-9:00PM ET/PT). The series’ fourth season is tentatively set to premiere on the network in summer 2011. 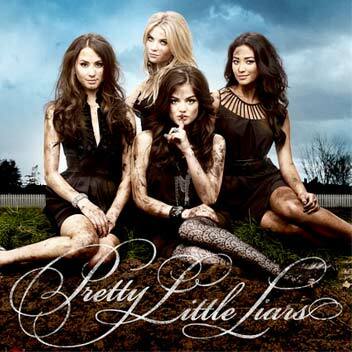 “Pretty Little Liars,” currently airing its first season (Monday nights at 8:00-9:00PM ET/PT) on the network, is tentatively set to return for its sophomore season in summer 2011. Created and executive-produced by Brenda Hampton, “The Secret Life of the American Teenager” stars Shailene Woodley, Ken Baumann, Mark Derwin, India Eisley, Greg Finley, Daren Kagasoff, Megan Park, Francia Raisa, with Steve Schirripa and Molly Ringwald. “Pretty Little Liars” is produced by Alloy Entertainment in association with Warner Horizon Television and is executive-produced by I. Marlene King, Oliver Goldstick and Leslie Morgenstein. The series stars Troian Bellisario, Ashley Benson, Holly Marie Combs, Lucy Hale, Ian Harding, Bianca Lawson, Laura Leighton, Chad Lowe, Shay Mitchell and Sasha Pieterse. Part of the Disney/ABC Television Group, ABC Family is distributed in over 98 million homes. ABC Family features programming reflecting today’s families, entertaining and connecting with adults through relatable programming about today’s relationships – told with a mix of diversity, passion, humor and heart. ABC Family’s programming is a combination of network defining original series and original movies, quality acquired series and blockbuster theatricals. ABC Family is also the destination for annual Holiday events with “13 Nights of Halloween” and “25 Days of Christmas!” ABC Family. A New Kind of Family. Source: Nielsen Media Research, National Ratings for 2010: 12/28/09-12/26/10, Most Current; 2009: 12/29/08-12/27/09, Live + 7 days; 7 consecutive years of gains and most-watched year in 2010 based on 000s among Persons 2+ in Primetime (M-Sun 8-11p). Scripted series stories exclude news, sports and reality in basic cable. Pretty Little Liars 1B premiere based on Live+Same Day for 1/3/11; ABC Family’s history: Nov. 2001 to-date. This entry was posted in News and tagged ABC Family, American Teenager, Pretty Little Liars, Secret Life, TCA Press Tour, TV renewals. Bookmark the permalink.